A country made for Muslims has turned into a nightmare for Muslims. The wish of Mohammad Ali Jinnah, the father of Pakistan, was that the country evolved into a modern democratic state where Muslims, as a majority population, could feel at ease. But the modernizers who succeeded the colonial authorities in taking power aroused expectations that were simply beyond their abilities to deliver. But religious authorities were agitating, warning the bewildered masses that these defeats were divine punishments for betraying the true message of Islam by not faithfully abiding by its requirements. Qutb in his writings recast the division in the world from the classic Muslim one between the House of Islam and the House of War, to one between Islam and jahiliyya, a condition of paganism that preceded the coming of Islam to Arabia. Jahiliyya has now become all-pervasive in the modern world, supposedly sparing none, including Muslims, except for that small coterie of Muslims who took flight [hijra] from the corrupted world and prepared for jihad [armed struggle]. Together, Hasan al-Banna, Abul A’la Maududi and Sayed Qutb fashioned political Islam as a closed system, in opposition to all other competing ideologies. The theology of takfir — declaring other Muslims apostates or unbelievers; excommunication — obsessed with “unbelief,” has provided the politics of jihad [armed struggle] with the theological justification that arms any Muslim to freelance as a soldier of Allah. The strategic requirement for advancing global jihad was to convince Muslims that they are liable to be found committing heresy if they support non-Muslim or infidel authorities, such as the United States and its allies, or if they wage war against Muslims, such as members of al-Qaeda. The theology of takfir and jihad has now come full circle. Many Pakistanis, when they disagree, now find themselves trapped in denunciations that they are unbelievers. It is from these madrasas that the jihadi fighters come forth as cannon fodder for an endless jihad that has become a growth industry in Pakistan. The entire political elite in Pakistan has profited, just as the Iranian elite continues profiting by doing the same. For many, being “pure” required separating oneself from non-Muslims. “The Taliban were not providing strategic depth to Pakistan, but Pakistan was providing strategic depth to the Taliban.” — Ahmed Rashid, foremost scholar of the Taliban. The recent massacre of school children by Taliban jihadists in a Peshawar army school just lowered even further the bar of atrocities carried out under the banner of Islam in Pakistan. As authorities floundered in the face of mounting violence, with serious implications for new wars in the region, the 2014 Global Terrorism Index ranked Pakistan third behind Iraq and Afghanistan among countries most impacted by terrorism. In addition, the “failed states index” elevated the status of Pakistan to being among the top dozen failed states of the world. When the mayhem was over, 132 children were dead, among 145 people killed by the jihadists. The Peshawar massacre has once again, just as in 1971, opened a window onto internal fault lines rupturing the country: those of ideology, ethnicity, sectarianism, and class. Of these, the most severe is the rupture over ideology — between those who insist that the country is insufficiently Islamic and those who fear that religious extremism has brought the country to ruin. This ideological fault line also intensifies the other divisions. There is not only the immense risk of Pakistan’s nuclear arsenal getting into the hands of Islamist terrorists, but that Pakistan has more or less turned into a safe-haven for them. For religious extremists of Islam, Pakistan has become a secure fortress, from which they can wage their global jihad. The injunction against the deliberate killing of children has, unfortunately, often been breached in times of war; the Peshawar massacre of children by militants of Tehreek-e-Taliban Pakistan [TTP] were, apparently, revenge killings for the loss of their women and children as a result of Pakistan’s military operations in North Waziristan, along the border with Afghanistan. The TTP leaders, however, went further. They defended their revenge killing in the name of Islam, as a jihad against their enemies. Umar Khorasani, a spokesman for the TTP, justified the massacre by comparing it to the massacre by the Prophet Muhammad of the Jewish tribe of Banu Qurayza, in which children were also killed. In offering this justification, Khorasani’s reference to Sahih Bukhari — one of the authoritative sources for Sunni Muslims on the traditions (Sunnah) of the Prophet — carried the message that those who even question the religious legitimacy of the killings would be held responsible for igniting any violence against them by the Pakistani Taliban and their supporters, on the charge of having insulted the Prophet. Such a denunciation by the Taliban of their opponents is consistent with Pakistan’s blasphemy law; it forbids any remark that might be taken as insulting the Prophet or the Quran, with the maximum penalty of death, under which some members of the minority religious communities have been indicted — often unfairly — and held in prison. The Peshawar massacre and the manner in which the TTP offered its justification for it, have roped the Pakistan’s political and military elite into a fix on how to refute Taliban’s interpretation of Islam’s sacred texts, without getting drawn into a potentially deadly conflict that would only deepen sectarian and ideological differences even more. If the country is not to slide deeper into the lethal mix of Taliban-type fanaticism and armed globaljihad, the elite need to respond forcefully. The prospect, however, is gloomy. The Pakistani Taliban is the creature of the ruling elite, especially the directorate of the Inter-Services Intelligence [ISI]. There is also a problem of widespread pride, nurtured by the elite over the past four decades, in Pakistan’s identity as an Islamic state. And since the identity of the elite is closely bound with the ideology of the religious establishment — and not merely with that of the Taliban — it follows that the various Islam-oriented parties and their supporters will fight to preserve their Islamist ideology. The impasse in which Pakistan finds itself needs explaining. Pakistan was established on the basis of religion, on Islam, and the claim that Muslims in an undivided British India deserved a state of their own to preserve their religion and culture, for fear of losing both if ruled by the Hindu majority population once the British departed from the subcontinent. The argument to have a separate state based on religion was flawed. But that flaw would only become apparent during the break-up of Pakistan in 1971 — despite the shared belief in Islam. The circumstances under which India was partitioned in August 1947 still remains contentious, given the subsequent history of wars fought by the successor states, the unsettled nature of the Kashmir conflict, and the break up of Pakistan in 1971 as a reminder that this could happen again. The pressure for partitioning India in 1947 largely succeeded because an exhausted Britain, after the Second World War in 1945, did not have the stomach to suppress the communal violence escalating between those who supported a separate Pakistan, and their opponents who insisted on keeping India united. The seeds of religious extremism — adherence to Islam as the line of demarcation, using violence, if necessary, against non-Muslims — were embedded in the initial demand made to Britain for creating Pakistan. The father of Pakistan, Mohammed Ali Jinnah (1876-1948), exploited this demand. He persuaded the British authorities to partition India. Jinnah himself was a nominal Muslim with a taste for things British. He was an Anglophile who barely spoke Urdu, the vernacular language of Muslims of northern India. He married a non-Muslim woman, the daughter of a wealthy Parsi (Zoroastrian) industrial magnate of Bombay (now Mumbai); and he died a little over a year after Pakistan had been launched in a sea of immense communal violence that accompanied its beginning. For Jinnah, ironically, religion had been a matter of personal choice. He had taken to Islam as a lawyer, not as a theologian. He had been persuaded, against his earlier political inclinations as an Indian nationalist, that the Muslims in India deserved to have a state of their own in the eventuality that Britain granted India independence. His wish was that the country evolve into a modern democratic state where Muslims, as a majority population, could feel at ease, as opposed to the unease they had felt as a minority population in an undivided India. 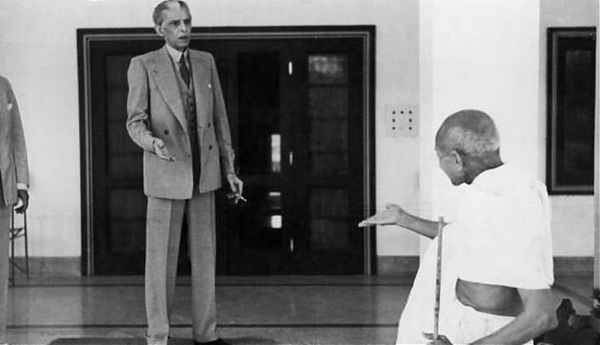 But Jinnah was old, gravely ill, and probably could not even imagine that the forces of religious extremism he had unleashed would devour his vision of Pakistan as simply a peaceful homeland for the Muslims of India. It did not take long, however, for all the various contradictions of ethnicity, language, sect, and class, to surface soon after Pakistan’s birth, between the Muslim refugees from India and the people who had been born there. The country was also physically divided into two halves, separated in the middle by over a thousand miles of northern India. The demand for a Pakistan based on Islam had carried emotional appeal, but what Pakistan would mean as a Muslim state had not been given much thought. Then there was a problem with Kashmir. Jinnah, according to biographers, felt cheated by the British. Kashmir, with a Muslim majority population, but ruled by a hereditary Hindu prince, was left to India, instead of Pakistan. Jinnah was prepared to force Kashmir’s union with Pakistan. But after pressure from the British military officers still in command of British India’s joint armed forces, Jinnah dropped his plans. Much of the divisiveness within Pakistan resulted in the inability of politicians to draft and ratify a constitution for nearly a decade – unlike India, where, after independence, a republican constitution for a parliamentary system of government was drafted, ratified, and adopted in fewer than thirty months. In Pakistan, the irresolvable differences were over the nature of the Islamic state, its ideals and objectives, and how such a state was to be organized. There were, on one side, modernist or reform-oriented Muslims, educated within the Western liberal tradition, with Jinnah as their model. They believed the Quran and the Sunnah (traditions of the Prophet) could be reconciled through liberal-reformist interpretation with the requirements of a modern democratic and representative form of government. The religious establishment, on the other side, with its traditionalist-minded ulema (religious scholars), was insistent that the law of the land could be based only on the Quran and the Sunnah, which provided the complete and unalterable social and political code for an Islamic society. They required, therefore, that Shariah – Islamic law compiled in the 9th-12th centuries C.E. – was made the law of the land. Then there was Abul A’la Maududi (1903-79), with the title of Maulana (a learned scholar), bestowed by his followers, as the founder and leader of Jamaat-i-Islami – the South Asian counterpart of Ikhwan-i-Muslimin (the Muslim Brotherhood), founded by the Egyptian, Hasan al-Banna (1906-49). Maududi went even farther by demanding that the constitution recognize the sole sovereignty of Allah, and the state as His agent, be limited only to implementing the Shariah. Ultimately the difference in these two views was unbridgeable. As a result, holding the country together by authoritarian means became unavoidable. Men in uniform replaced feckless politicians. General (later made Field Marshal) Ayub Khan, a military chief, seized power in October 1958, and set the pattern of military rule for the country. During the decade he ruled, he imposed on the country a constitution of his making; supervised economic development; invested in the defense establishment; worked to undermine the religious establishment; and in 1965 launched a poorly conceived war against India over Kashmir, which backfired. He was eventually forced, in the midst of political unrest across the country, to hand over power in 1969 to yet another general. The military rule of Ayub Khan’s successor, General Yahya Khan, ended dismally in December 1971 with the break-up of Pakistan. It was preceded by an election for a national assembly in 1970, which Yahya Khan had arranged with the express purpose of handing power to a civilian government. But when a political party from East Pakistan won the largest number of seats in the assembly and was poised to form a government, Yahya Khan reneged on his promise. The people in East Pakistan (now Bangladesh) – estranged from those in West Pakistan (now Pakistan) over ethnic and language differences, and grievances over socioeconomic disparities – rose in opposition to military rule. The situation rapidly deteriorated, a civil conflict turned into a bloody military repression and massacre of unarmed people by the military. It ended with Pakistan declaring war against India, and the surrender of the Pakistani army to Indian forces in Dhaka, the capital of East Pakistan (now independent Bangladesh), on December 16, 1971. After this humiliating defeat, Pakistanis in general were demoralized and the military discredited. In these circumstances, Zulfikar Ali Bhutto and the party he founded, the Pakistan People’s Party, maneuvered to fill the void. Bhutto belonged to the wealthiest landlord family in the province of Sind; as a young lawyer-politician, he had been appointed a junior minister in the military regime of Ayub Khan. His later disagreements with Ayub Khan’s policies, following the 1965 war fought by Pakistan and India over Kashmir, forced him out of the government and into opposition against military rule. In the 1970 election Bhutto’s party had emerged with second largest number of seats in the national assembly, behind the party from East Pakistan. Bhutto claimed this as his mandate to form a civilian government, with himself as president, to replace military rule. In 1973 he presented the country with its third constitution, and had it adopted by the national assembly. But, as the old differences over the nature of an Islamic state and the place of the Shariah resurfaced, the constitution failed to win the support of the religious establishment. Bhutto was a populist and a demagogue. Although he was one of the most powerful feudal landlords in Pakistan, he nevertheless appealed for electoral support from students, workers and peasants by posing as a defender of the poor and oppressed in society, and, as an ally of China’s then supreme leader Mao Zedong, by embracing the left-wing politics of anti-imperialism. There was showmanship here, and some grandstanding as a leader of a third world nation. It was at this time – and soon after India tested a nuclear device in 1974 – that he determined that Pakistan must acquire nuclear capability of its own. His populism however would not save him from the wrath of the religious establishment. But, as the country searched for an identity in the aftermath of 1971, Bhutto was temperamentally unsuited to calm the tensions around him. The Muslim religious leaders and their followers distrusted him as another liberal-secularist; he tried to appease them by meeting their demand in declaring as non-Muslims those belonging to the minority Ahmediyya sect within Islam. In 1977, the military under General Zia ul-Haq staged a comeback, removed Bhutto from office and put him under arrest. While in prison he was indicted for plotting the murder of his political opponent, and put on trial. The court found him guilty, his appeal was denied, and he was hanged in April 1979. Zia ul-Haq, the third military dictator to take power, ruled until his death in a mysterious plane crash in August 1988. He was a devout orthodox Sunni Muslim, and, unlike his two military predecessors – Ayub Khan and Yahya Khan – he publicly showed respect for Muslim religious leaders and their various organizations. He sought their support, and embraced their religiously directed political agenda to turn Pakistan officially into an Islamic society (Nizam-i-Islam). The decades of sixties and seventies in the twentieth century were times of social and political unrest in the West. There was a crisis of values as the young questioned the dominant secular politics mostly concerned with material gain and economic well being, while America’s involvement in the war in Vietnam became increasingly divisive at home. The youth in general defied the authorities on both the Soviet and Western sides of the Cold War. They pushed counter-cultural movements and sought “enlightenment” through sexual freedom, drugs, music, and experimenting with the rites of non-European cultures. In the Muslim world, the situation was vastly different. The thin veneer of modernity barely penetrated the surface of a world steeped in traditional culture. Islam as understood and practiced for generations sustained the vast majority of people at the edge of poverty. Colonialism had made only a small difference, once independence came, in preparing Muslim societies to meet the immense challenge the modern world posed for them. A tiny segment of the population had received a modern liberal education and had risen in the ranks of colonial administrations as junior civil servants, technocrats, and military officers. On their shoulders fell the task, as in Pakistan after 1947, to lead the country forward and somehow meet the swelling demands of the people for the promise of a better life. The political leadership of the newly independent states generally looked to the West in terms of their own respective economic and social developments. Within the Muslim world – apart from the few oil-rich Arab states on the Gulf – there was a general consensus among those who held power that there was no alternative to the path for development as historically charted by the advanced Western countries, irrespective of whether those countries were capitalist democracies or socialist. But the modernizers who succeeded the colonial authorities in taking power – the men in uniform who seized power through military coups due to the fecklessness of politicians, as in Egypt (Colonel Gamal Abdel Nasser) or in Pakistan (General Ayub Khan) – aroused expectations that were simply beyond their abilities to deliver. The sixties and the seventies of the last century were the decades when the political roof caved in over the heads of the Muslim world’s modernizers. The immediate cause was military defeat. In the Arab world, the June war of 1967 with Israel was a catastrophic defeat for Egypt under Nasser; and, similarly, for Pakistan the December 1971 war with India was a colossal humiliation in which the army lost half the country when East Pakistan, with support of the Indian military, seceded to become an independent Bangladesh. On the political margins of these Muslim countries, religious parties were agitating, warning the bewildered masses that these defeats were divine punishments for betraying the true message of Islam by not faithfully abiding by its requirements. These were the decades when old theological debates from the medieval past of the Muslim world re-surfaced and were widely disseminated. Muslims were repeatedly told by religious scholars that to reverse their humiliations, they needed to return to their authentic past, to emulate the ways of their revered ancestors (salaf) and the companions of the Prophet, and to establish the rule of Islam. In the Arab world, the Muslim Brotherhood of Hasan al-Banna and Syed Qutb (1906-66), and in Pakistan the Jamaat-i-Islami of Maulana Maududi, gained in popularity with a populace increasingly frustrated with its own political authorities. In Egypt, Syed Qutb, as one of the leaders of the Muslim Brotherhood that declared a jihadagainst Nasser’s military-led government, was sent to the gallows. In death, Qutb became a martyr-scholar for a whole new generation of Muslims who were searching for meaning in the midst of cultural despair and political authoritarianism. An earlier generation before 1967 in the Middle East – as elsewhere in Asia and Africa – had sought answers in the revolutionary politics of Marx and Lenin; had supported the Vietnamese communists in their war against the United States, and had admired Mao Zedong and the Chinese revolution. In the period after 1967, and before the 1973 October war that brought the Arab oil-producing states to quadruple the price of oil and turn it into a political weapon, it was the writings of Syed Qutb that appealed to the young in the Middle East. Hasan al-Banna and the Muslim Brotherhood had turned Islam into a political doctrine – Islamism – as a total answer to all the problems of the Muslim world. Qutb had described the solution in terms of an Islamic state implementing Shariah as the fundamental law of the land. Al-Banna’s message was also directed at the lslamic ummah,the whole Muslim nation. Qutb in his writings refined and deepened the message of al-Banna. In a significant departure from other Muslim thinkers of his time, Qutb recast the binary division in the world made by Muslim traditionalists, one between Dar al-Islam (House of Islam) and Dar al-Harb (House of War), into one between Islam and jahiliyya (a condition of barbarism or paganism) that had preceded the coming of Islam in Arabia. Qutb developed this concept of jahiliyya as one of the key explanations for the decline of Islam in the world, and the miserably broken condition of Muslims in it. In his ultimately extreme view, and one that caught the imagination of his most devoted followers, jahiliyya had become all pervasive in the modern world, sparing none, including Muslims, except for that small coterie of Muslims who understood the situation, took flight (hijra) or withdrew from the corrupted world, and prepared for jihad (holistic struggle, including warfare) in the cause of Islam. Qutb’s views were in part influenced by the writings of Abul A’la Maududi, in the extent to which Maududi had revived the theological views of medieval Muslim jurists on matters of God’s sovereignty in human affairs. Maududi’s innovation was in insisting that Islam was a complete system of faith and politics, in other words a totalitarian ideology promoting a social revolution, and the necessity of jihad as the instrument for realizing God’s plan on earth. Together, Hasan al-Banna, Maududi, and Syed Qutb had fashioned political Islam as a closed system, in opposition to all other competing ideologies confronting Muslims. It was at once simple, rigidly based on the Quran and the Sunnah (traditions) of the Prophet, and provided Muslims with an armed doctrine of jihad to quell their doubts, overcome their fears, and direct them towards the objective of establishing an Islamic state or gaining martyrdom in the pursuit of it. When the Islamic revolution did successfully occur, however, it was in Iran, and in February 1979. The Iranian followers of a religious leader in exile, Ayatollah Khomeini (1902-89), seized control of the popular uprising and eventually turned Iran into a theocratic Islamic republic. Iran had been a monarchical regime, and the anti-monarchist revolution, even though Iranians followed the minority Shi’ite version of Islam, caught the imagination of the majority Sunni Muslims on either side of its borders. The leader of the Palestinian movement, Yasser Arafat, for instance, travelled to Tehran and embraced the founder of Iran’s Islamic revolution, Ayatollah Ruhollah Khomeini, as the leader of anti-imperialist revolution. If Iranians could topple the Shah of Iran, an ally of the United States, then it was not unimaginable that Muslims elsewhere could also overthrow similarly pro-American or pro-Soviet authoritarian regimes that they felt had been repressing them into a state of jahiliyya. As a result, the year 1979 – the beginning of the fifteenth century in the Islamic calendar – became a pivotal year in the Muslim world. Earlier, in November 1979, there had been a failed attempt by a small group of Saudi Wahhabi extremists to ignite a movement against the ruling House of Saud. They seized the grand mosque in Mecca, at the center of which stands the Ka’aba (the ancient cube-like structure), and held the grand mosque for several days until French paratroopers flushed them out. Although this effort was doomed to fail, it signified unrest within the most conservative Arab state, and the messianic wish for an even stricter version of Islam than the one practiced by Saudi rulers. Then, at the end of 1979, came the Soviet invasion of Afghanistan. The occupation of a Muslim country by an infidel power became a magnet around which to rally Muslim jihadists, and encourage them to head for Afghanistan and join Afghan mujahideen (freedom fighters) in theirjihad against a military superpower. Zia ul-Haq (1924-88), an army general who was then president, turned Pakistan into a frontline state in the decade long Afghan war. Zia viewed the Afghan war as the opportunity to reverse the humiliation of 1971, rebuild the morale of the army, and make Pakistan the key ally of the United States in the war against Soviet Communism. Under Zia’s direction Islamabad forged a new strategic partnership with President Ronald Reagan’s Washington and the Saudi monarchy to help the Afghan mujahideen (freedom fighters) liberate their country from Soviet occupation. But the blowback from the Afghan war in time has turned Pakistan from a cockpit of global jihadinto a land increasingly torn and bloodied by armed warriors of Islam. On seizing power, Zia reached out to the religious establishment and made Islamization of Pakistan his military regime’s domestic priority. He believed the country suffered from a crisis of identity, for which it had paid dearly in 1971. Although the country had been established on the basis of Islam, Zia would regularly remind the people in public speeches and interviews, that the political leadership had failed to establish an Islamic-based society. Zia’s solution was to encourage an Islamic identity to replace, or supersede, ethno-linguistic and sectarian identities that had weakened and divided the country. Accordingly, the measures he adopted were to make the fundamental law of the land, the Constitution, conform to the dictates of the Quran and the Sunnah, and implement the requirements of the Shariah in society. To push for the Islamization of the country, Zia established the Federal Shariah Court and the Shariah Appellate Bench of the Supreme Court. What Zia could not have foreseen was how the Afghan war would become the petri-dish of Islamist theology and jihadi politics. As Arabs attracted by the appeal of jihad congregated in and around Peshawar, Afghanistan and the Afghan war became the cradle of the global jihadistmovement. The actual contribution of these “Afghan Arabs” in defeating the Soviet Union was negligible, but it was here they found a safe haven to engage in arcane theological debates that shaped the thinking and politics of those who had been radicalized through the writings of Syed Qutb and Maududi. The Afghan war may be divided into three phases. The first was the war against the Soviet forces, ending with their full withdrawal in February 1989. The Soviet withdrawal marked the beginning of the second phase until 9/11. During this period, the war turned into an internal struggle among the various tribal groups and factions for the control of Afghanistan. Despite the fall of Kabul, the capital, to Afghan Taliban warriors under Mullah Omar in September 1996, this internal conflict raged on. The third phase began after the 9/11 terrorist attacks on New York and Washington, and led to the U.S. sending forces into Afghanistan to search out and destroy the al Qaeda leadership and network. In Pakistan during the summer and fall of 1988 after the airplane crash that killed Zia, one could see that although the first phase of the Afghan war was winding down, the country was on edge and the military and security forces were everywhere. In Islamabad, at the Institute of Strategic Studies, one could hear the elite opinion about the Afghan war: that the Soviet defeat had been brought about by Pakistan, and that, despite risks, Zia’s bold vision had turned out right. In helping the Afghan mujahideen liberate their country, Pakistan had acquired strategic depth in its confrontation with India. The victory also celebrated undoing the defeat of 1971, and providing the military establishment with experience in conducting asymmetrical warfare against an enemy larger in size and resources. Pakistan has always been obsessed with India, and the Afghan war gave its men in uniform new confidence on how to engage with India in Kashmir. The build-up of the military with the offshore money that flowed into Pakistan from Saudi Arabia in aid of the Afghan war further entrenched the special place it occupies in the country. The observation first made by Sir John Morrice James, Britain’s High Commissioner to Pakistan during the rule of Ayub Khan – that re-arming the military by the Americans “was to risk creating a situation where it would not be so much a case of Pakistan having an army as of the Army having Pakistan” – seemed uncannily true at the end of the Zia era. Since Pakistan’s independence in 1947, and at the end of the first phase of the Afghan war, the military had ruled Pakistan for more than half the period, and the men in uniform, given their self-important role as the guarantor of the country’s security, had acquired a sense of entitlement. During subsequent visits, it seemed as if the victory in the Afghan war that gave most Pakistanis pride and the right to boast was an illusion. War had laid waste to Afghanistan. Virtually the entire Afghani population within the country – as well as in the neighboring countries of Pakistan and Iran – had been turned into refugees. Pakistan had become home for several million Afghan refugees, mostly of Pashtun/Pathan ethnicity, indistinguishable from Pathans on the Pakistani side of the frontier. With these refugees, the war inside Afghanistan was imported across the border into Pakistan, and the struggles of the Afghan mujahideen against Soviet occupation of their country invariably began to change the political landscape inside Pakistan. The Afghan Taliban emerged from the ranks of its own refugee population in Pakistan. Their struggles against the Soviet forces in their country in turn persuaded their ethnic brethren, the Pakistani Pathans, to join them. In time, the distinction between Afghani and Pakistani Taliban dissolved even as the frontier between the two countries became irrelevant. The Pakistani military, through its ISI intelligence services, had raised, trained, and armed the Taliban to be its proxy inside Afghanistan. The ISI provided key material and logistic support to the Taliban leader, Mullah Omar through the 1990s right to the present. In addition, the ISI’s deep connection with the Taliban, approved at the highest levels of the Pakistani military leadership, became the preferred approach for raising and supporting other Islamist militias to wage secret warfare against India in Kashmir. The ISI’s investment in Taliban was made for returns to its own liking, when needed, in terms of Pakistan’s strategic interests. So the idea of Afghanistan as a strategic depth for Pakistan, was made by Pakistan’s political establishment into an article of faith not to be doubted. Organization/International Security Assistance Force) command found how difficult it was – and still is – to pacify Afghanistan when the Taliban have continued to operate out of safe havens inside Pakistan. The leaders of both the Pakistani and Afghani Talibans are able to slip back and forth across the border to hide with ease. The Taliban were raised, on both sides of the border, in the Deobandi school of fundamentalist Islam, different in tradition from what the “Afghan Arabs” brought with them to Pakistan. The “Afghan Arabs” are Arabs who headed for Afghanistan in 1979 following the Soviet invasion of that country. Osama bin Laden and his entire al Qaeda crew, for instance, came to be referred to as “Afghan Arabs” to distinguish them from native Afghans and this is why the quotes. The “Afghan Arabs” introduced the doctrine of takfir [excommunication] theology to non-Arab Muslimjihadis, especially the Afghani and Pakistani Talibans in their pursuit of global jihad. The Deobandi school, originating out of the nineteenth century Darul Ulum Deoband – an Islamic school that took its name from the town, Deoband, located in north India where it was foundedcirca 1867 – has been, since it was established, the flag-bearer of jihadi movements in India and Central Asia. The religious scholars at Deoband, were practitioners of taqlid (imitation): of strictly adhering to the authoritative interpretations of the traditional four schools of fiqh (jurisprudence) in Sunni Islam. They insisted that Muslims follow the Shariah-code as required by their faith and tradition. The “Afghan Arabs” brought with them to Afghanistan and Pakistan the more rigid teachings of the medieval jurist, Ibn Taymiyya (1263-1328), especially his stringent pronouncements on apostasy and jihad. The mainline consensus of Sunni Muslim jurists on what constitutes Muslim belief, in accordance with the Shariah’s minimal requirement, is the utterance of the Shahada, or the formula of the Islamic creed: “There is no god other than Allah and Muhammad is His Messenger.” The saying of obligatory prayers, keeping the fast during the month of Ramadan, making pilgrimage at least once in lifetime, and giving charity (zakat) have been traditionally considered the key pillars of Islam, as stipulated in the Quran, and abiding by them is evidence of Muslim piety. Ibn Taymiyya ruled, however, that such minimal requirement was insufficient, especially when a Muslim ruler failed to implement the Shariah, and when any Muslim failed to engage in jihad(armed struggle) to demand the rule of Shariah. From such a standpoint, as Ibn Taymiyya underscored, when a Muslim ruler transgressed the Shariah-code, or set aside the rule of Shariah in territory under his control, he turned into an infidel, or apostate, and thereupon became a legitimate object for jihad. Ibn Taymiyya’s medieval excursions into jurisprudence and theology, once revived, became the hallmark of the new generation of Arab Islamists. They made takfir (declaring someone to be an apostate or an unbeliever, excommunication) a signature instrument of their jihad, and readily used such pronouncements to attack their opponents. The most striking example of this from recent history was in pronouncing takfir on President Anwar Sadat for signing the peace agreement with Israel. That act turned him into an object ofjihad, which eventually brought about his public assassination in October 1981. Ibn Taymiyya’s hard line extremist thinking was a result of the upheaval in Arab lands during the Mongol invasion of the thirteenth century. His views were a marginal innovation in medieval Islamic theology, but nonetheless became the signature of the contemporary jihadis, the “Afghan Arabs.” In mainline traditional Sunni jurisprudence, the ulema (religious scholars) stressed the importance of obeying Muslim rulers and in avoiding fitnah (disorder or internecine warfare) as a major sin. The theology of takfir, declaring other Muslims apostates, was, and is, riddled with Muslim-on-Muslim violence. From the earliest decades of Islamic history, Muslim extremists have given a theological justification for their violence against Muslims with whom they disagree, such as Shiites, and other minority sects. Consequently, in contemporary times within the Muslim world, the fear or apprehension of early Muslim jurists – based on lessons, drawn from the earliest phase of Islamic history, of fratricide and tribal conflicts – has become widespread. The theology of takfir, obsessed with “unbelief,” has provided the politics of jihad with the sort of theological justification that arms any Muslim to freelance as soldier of Allah. A soldier, for instance, in the security detail of Salman Taseer – the governor of Punjab and Pakistan’s largest province with an estimated population of around one hundred million – shot him dead in January 2011 to punish him for his efforts to amend the blasphemy law in the penal code. Furthermore, Pakistani lawyers praised his murderer. The law was first introduced in the colonial period, and the Zia regime further broadened its scope, as part of the Islamization process, by requiring anyone accused of insulting the Prophet or desecrating the Quran to be imprisoned ahead of an investigation. For the jihadi theorists among “Afghan Arabs,” the strategic requirement for advancing globaljihad was to convince Muslims that they are liable to be found committing heresy if they support non-Muslim or infidel authorities, such as the United States and its allies, or if they wage war against Muslims, such as members of al Qaeda network. The “Afghan Arabs” also sought to convince their jihadi allies among Muslims in the Afghanistan-Pakistan region, especially the Islamists among them, to declare their co-religionists apostates if they were found unwilling to establish Shariah rule in society and assist the global jihad. The logic behind the doctrine of takfir theology for “Afghan Arabs” – as they instructed the Pakistani Islamists – was straightforward: Once Islamists in Pakistan – with many inside the military, and especially those inside the ISI – became convinced that Pakistan could not be considered any longer an Islamic state due to its role as a junior partner of the United States in the war against the global jihad – represented by Islamist organizations, such as al Qaeda – then the Pakistani Islamists would likely lead a revolt. A successful revolt in Pakistan would then make the country the most important base of global jihad. The theology of takfir has borne fruit within Pakistan. The assassination in 2007 of Benazir Bhutto – a former prime minister and opposition leader and daughter of Ali Bhutto (hanged by the military in 1979) – and then of Salman Taseer, the governor of Punjab, in 2011, were two high profile jihadi executions. Since 2001, there has been a steady toll of victims from jihadi violence inside Pakistan. Taliban and jihadi militias have directed terrorist attacks and suicide missions against the minority Shia population; against Ahmediyyas, declared non-Muslims; against Christian and Hindu minorities; against Sufi shrines and Sufi Muslims (those devoted to a mystical tradition of spiritual Islam) as heretics; and even against Pakistani military targets, such as the naval base in Karachi in May 2011 and an air force installation in Peshawar in December 2012. In nearly four decades of strife, warfare, and jockeying for power inside Afghanistan, with the epicenter in the mountainous areas bordering on Pakistan, a culture of jihad and takfir took root. The Pakistan army, answerable to no higher authority than itself, contributed to the making of this culture. The Pakistan army is in part responsible for creating the jihadi militias, which have become monsters that cannot be entirely controlled by the ISI. It is also widely believed that the ISI and some segment of the military establishment are in league with Islamists, and supportive of the goals of global jihad. The fecklessness and corruption of politicians and civilian authorities work to the advantage of the military establishment, still viewed by a majority of the people as the one institution – in spite of the record – trusted to maintain Pakistan’s security. Because of Pakistan’s rivalry with India and the unwillingness of the Pakistani population, pushed by Islamist rhetoric, to negotiate with India a peaceful settlement of the Kashmir conflict – which, with rising civilian casualties has worsened over the years as a result of jihadi organized terrorism – the military establishment is unlikely to end its support for jihadi militias operating inside Kashmir from bases inside Pakistan. Similarly, by hanging onto the illusion of Afghanistan as some sort of strategic depth for Pakistan, the military will not disband the Pakistani Taliban. The Islamization of Pakistan has given more official encouragement and “teeth” to Islamists armed with the theology of takfir. These Islamists have shown, that, when squeezed too hard by the military or civilian authorities, they are ready to bite with attacks on military installations, such as one on the naval base in Karachi, or by assassinations, such as in the killings of Salman Taseer and Benazir Bhutto. Large segments of the Pakistani population live in poverty. The most impoverished region is in the tribal areas of northwest Pakistan, and home to the Taliban. For a vast majority of the people, basic needs in terms of medicine, clean water, nutrition, education and jobs are barely met by the state. The insult to the human dignity of those more or less abandoned to endless destitution is compounded by the lifestyle of the rich and the privileged. The people in the military are the most privileged among the Pakistanis, and resentment against them is not far below the surface of a society seething with tensions. The Taliban attack on the Peshawar army school, and the murder of the children there, most of whom came from military homes, went beyond revenge. It signified class-based hostility against a system of privilege for a tiny minority. There are over one hundred specially built army schools, such as the one in Peshawar, for children of the military establishment and the civilian elite, to provide for modern education. In contrast, there are nearly 14,000 madrasas (religious seminaries) where, under the supervision of Deobandi scholars, a Quran-based education of rote learning and memorization, ill-equipped for modern needs, is provided to an estimated two million children of the poor. It is from these madrasas that the jihadi fighters come forth as cannon fodder for an endless jihad that has become a growth industry in Pakistan. The entire political elite in Pakistan has profited, just as the entire Saudi elite has profited by funding the Islamists, and just as the entire Iranian elite continues to profit by doing the same. Politics in Pakistan has carried in its blood stream the virus of religious fanaticism right from the outset of its creation. The name chosen for the country at birth, “Pakistan,” in Urdu means “the land (or home) of the pure.” For many, the significance of being a Pakistani came to mean striving, as Muslims, to be “pure,” and that a true believer required separating themselves from non-Muslims. But this mentality turned full circle. Infected by the theology of takfir and the politics of jihad, Pakistanis, when they disagree, now find themselves trapped in denunciations that they are unbelievers. A country made for Muslims has now turned into a nightmare for Muslims. The children killed in the Peshawar army school by Taliban were innocent of the politics of their elders, even as these children were their sad victims. Ismail Khan, “We have killed all the children… What do we do now?” Reported in Dawn(Karachi), 18 December 2014. See Stanley Wolpert, Jinnah of Pakistan (New York: Oxford University Press, 1984), pp. 337-340. See Wolpert, Jinnah, pp. 347-354. Cited in Shuja Nawaz, Crossed Swords: Pakistan, its Army, and the Wars Within (Karachi: Oxford University Press, 2008), p. 200. Ahmed Rashid, Taliban: Militant Islam, Oil and Fundamentalism in Central Asia (New Haven & London: Yale University Press, 2000), p. 185. See Declan Walsh, “Pakistani commandos regain control of Karachi military base,” in The Guardian (UK), 23 May 2011, for report on the attack on the naval base in the port city of Karachi; and see Ismail Khan, “Audacious attack on Peshawar PAF base,” in Dawn (Karachi), 16 December 2012 for report on the attack on the air force base in Peshawar. This entry was posted on January 31, 2015 at 6:00 PM and is filed under India, Islam, Islamic jihad, Islamic slaughter, Islamism, Pakistan. You can subscribe via RSS 2.0 feed to this post's comments. In 1959, I was a modestly accomplished equestrian and decided to try playing polo. For $50 per month, I was able to take lessons at a nearby club. After it was decided that I probably would not be a danger to myself or to others, I was allowed to play in several matches. One of our best players was General Ishmael Kahn, the military attache at the Pakistani embassy in Washington. General Kahn seemed to be a British gentleman in every respect. His English was otherwise unaccented upper class British and so were his apparent attitudes. Once between chukkas, I was chatting with General Kahn, his wife and two daughters, who were attired in customary western clothing. They too had British accents and seemed entirely westernized. General Kahn was also a very considerate gentleman. During a practice match involving only members of our team, another player had crossed illegally in front of me and his pony’s hind legs had become entangled in my pony’s forelegs. My pony fell at a gallop and I was trapped beneath him, injuring my right knee. During a scrimmage several days later, General Kahn was very careful not to take advantage of my injured knee by “riding me off” — causing his pony to collide laterally with mine, getting his left knee in front of my right knee and shoving to keep me from following the ball. Others were less considerate. It seems sad as well as likely that General Kahn and his kind no longer have any place in “modern” Pakistan.